Summer is in full swing, and ice cream and s’mores are what it’s all about! Why not combine the two for an indulgent treat that’s all the best of both worlds? I borrowed it from the booklet that came along with my KitchenAid® Ice Cream Maker Attachment, swapping a few ingredients out for things that I tend to keep more readily on hand, and simplifying the method a bit. Making homemade ice cream can be a bit of a process, so I’m all for simplifying it as much as possible! And one thing that will really help to streamline your ice cream making process is the KitchenAid® Ice Cream Maker Attachment. It’s so simple to snap on to the KitchenAid® Stand Mixer, and you’ll love that you don’t have to clutter up your cupboards with a big, clunky, stand-alone machine. Now your mixer can multitask! I pop the ice cream maker bowl into my freezer the night before, to make sure it’s really good and cold, and then get going on the custard. It all starts with egg yolks, sugar, and unsweetened cocoa powder. Cocoa powder is all the intense flavor of chocolate, without any of the cocoa butter to dilute the flavor. I love the deep, dark, almost bitter chocolatiness that it brings. And don’t forget the salt! It really helps to balance the flavor and bring out its best qualities. Once that is all combined and looking thick and luscious, you’ll just want to get your milk nice and hot. Try not to let it boil, just get it to where there are little bubbles forming around the edges, and thin wisps of steam raising from the surface. Splash the milk into the egg mixture, just a little bit at a time. Go slow and keep stirring, so the eggs don’t scramble. If you feel the outside of the bowl, you’ll notice it feels very warm. You’ve successfully tempered the eggs. Add in the melted chocolate, and pour the mixture back into the pot to cook over medium-low heat until thickened. It should coat the back of a spoon. Strain the custard into a heat-safe bowl and stir in the cream and vanilla. Allow it to chill in the fridge overnight. In the morning your KitchenAid® Ice Cream Maker Attachment and custard will both be ready to churn! …and churn your ice cream! As long as everything is good and chilled, it could take as little as 15 minutes! Your homemade chocolate ice cream gets layered in the KitchenAid® Professional-Grade Nonstick Square Pan over the crunchy graham crackers, and back into the freezer it goes while you mix up the marshmallow component of your s’mores ice cream bars. You could take a little shortcut and use regular store bought marshmallows for this step, but I really love the gooey factor you get with this Italian meringue. 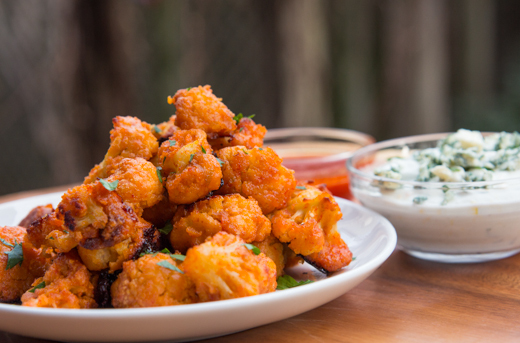 Toast it with a kitchen torch, or for a few minutes under the broiler, for that unmistakable smoky campfire flavor. Use the parchment to pull the ice cream layer easily from the KitchenAid® Professional-Grade Nonstick Square Pan, cut down to individual portions with a knife, and sandwich the toasty marshmallow layer on top. Everything’s better on a stick, right? And to bump up that incredible chocolate flavor, a quick dip in some homemade magic shell just takes them totally over the top! 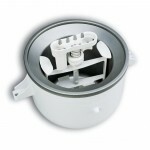 Place the bowl of the KitchenAid® Ice Cream Maker Attachment in the freezer overnight. Pour the milk into a small pot and place over medium heat. Combine the egg yolks, sugar, cocoa, and salt in the larger bowl of the KitchenAid® Stand Mixer. When the milk is hot and there are small bubbles forming around the edges, begin adding a little at a time to the yolk mixture, while stirring. Add in the melted chocolate, pour the mixture back into the pot, and cook over medium heat, stirring, until thickened. Strain the custard into a heat safe bowl, stir in the heavy cream and vanilla, and refrigerate overnight. 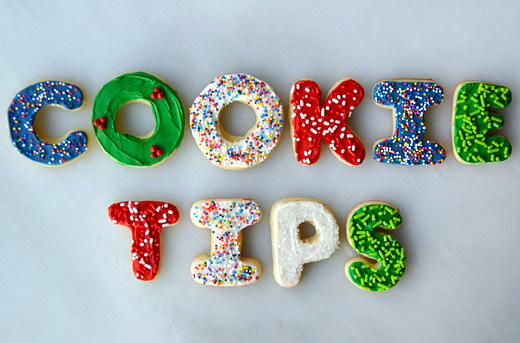 Line a KitchenAid® Professional-Grade Nonstick Square Pan with parchment and arrange half the graham crackers on top. Churn the ice cream mixture in the prepared bowl for 15-30 minutes, or until it’s the consistency of soft-serve. Layer it in the prepared pan (over the graham crackers), and freeze solid. 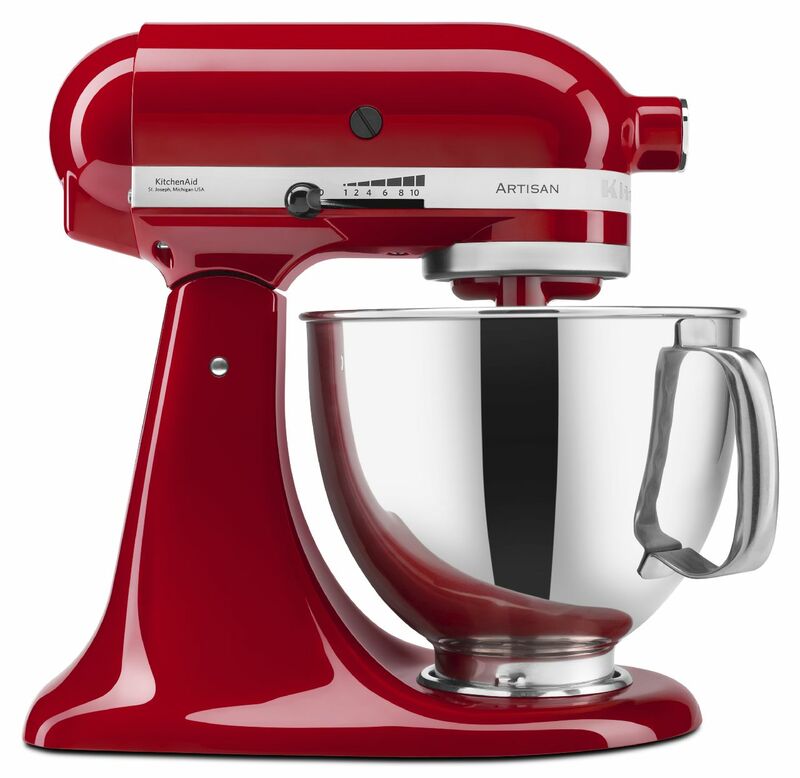 Place the egg white in the large bowl of the KitchenAid® Stand Mixer, and whip on medium speed until frothy. Gradually add 1 tablespoon of the sugar, while continuing to whip. Once the sugar has been incorporated, turn the speed up to high and whip until stiff and glossy. 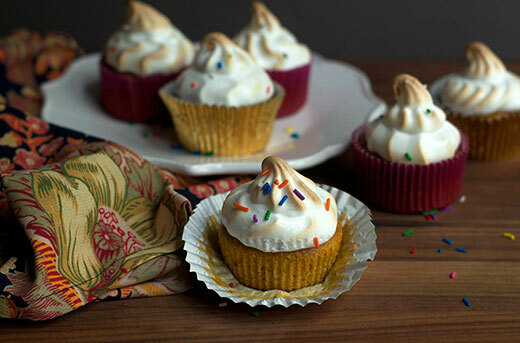 Place the remaining sugar, water, and corn syrup in a medium pot and heat over medium high heat, swirling the pot occasionally, until it reaches a temperature of 240 degrees F.
Slowly and carefully pour the hot syrup into the meringue in a thin stream, while whipping. Add vanilla, and pipe or spoon the mixture onto the remaining graham crackers. Toast with a brulee torch, or for a few minutes under the broiler. 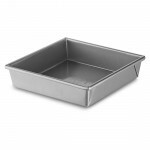 Remove the Chocolate Ice Cream Layer from the KitchenAid® Professional-Grade Nonstick Square Pan and trim with a knife. Sandwich the Toasted Marshmallow Meringue Graham Crackers on top and insert popsicle sticks, if using. Dip the ice cream sandwiches in the chocolate coating, chill briefly, and serve. You really took s’mores to the next level with these!! I love how easy they are to make too. I really appreciate the fact that you toasted the marshmallow before sandwiching all that other yummy stuff together with it. And that you made the ice cream too! These bars look incredible, Allie! Oh wow Allie, I love everything about this recipe! 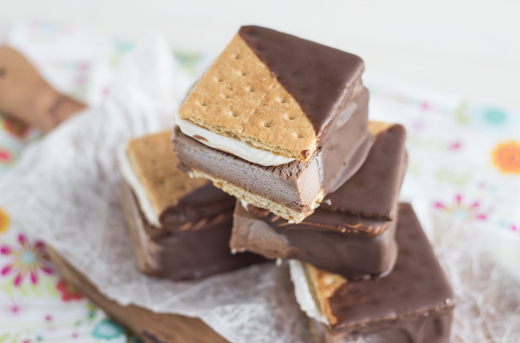 S’mores ice cream bars look like the perfect summer treat to beat the heat. They look absolutely amazing!